The story is a metaphor title, to compare with skepticism of audiences denouncing real life situation. The story is a metaphor title, to compare with skepticism of audiences denouncing real life situation. The title not ejecting the predicate, nor is it depicting the future of any relationship. Having followed down the path inconsistent to real life relationship. I’d led myself in the magnitude of malignancy in tales of disaster. Everything not seriously magnetized in a relationship. While in the course of time, you can take the time to make it happen, or dispense your emotion for strength, in departing. 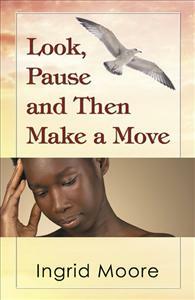 Look Pause and Then Make a Move is self explanatory in regards to marriage. Peradventure the marriage was a mistake.